10-Play Punch Card is offered at a special rate of $320 plus 6% VT Sales Tax! Price including tax is $339.20. 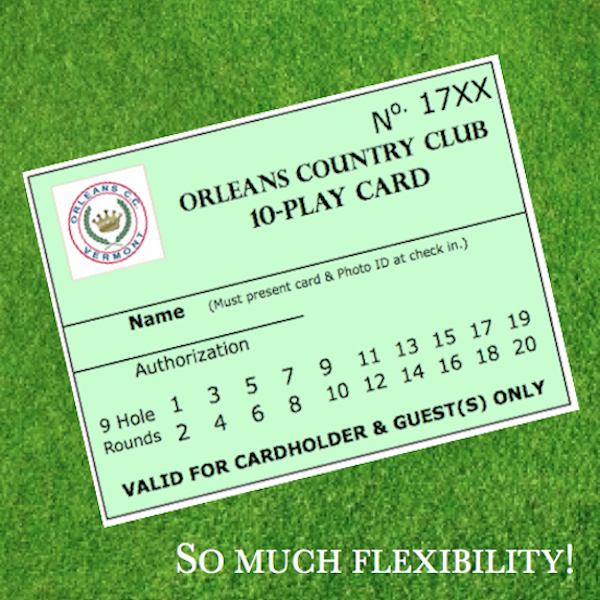 Card can be used for NINE or EIGHTEEN holes and is valid for card holder and guest(s). The card is set up with 20 nine-hole rounds. Receive one punch when 9 is played and two for 18.